What's going on with The Gathering? Although the conversation has died down, I get a lot of feedback from people who are interested... probably because "Are you going to the Gathering?" is under my signature on all outgoing email. If you haven't heard about it (where have you been? ), check out the link. If you intend to attend, let your fellow builders know by posting a message. The Gathering is being organized by several builders of Glen-L/Hankinson designs and we'd all like to see it be a success. This one is hard to talk about. Because of a stupid mistake by... me, several posts were lost. We were able to retrieve many of the posts, but not in all categories. The truth is that I don't really understand php programing, so retrieving additional messages may not be possible. I apologize for the goof and will do all I can to see it doesn't happen again. I suspected that some of the more recent posts might be lost so I copied this one before restoring. I see that Dave has re-posted. I hope the rest of you will also re-post your questions. Recent subscribers might have been deleted in the restore process, so you may have to re-register. Again, I apologize for the mistake. Gayle has told our subscribers in her email that we were going to Idaho to purchase Ken Hankinson's plans and subsequently that they were available. Ken did not feel comfortable shipping the originals, so Gayle and I flew to Spokane, where Ken and his wife, Elaine, met us and drove us to Hayden Lake. We picked up a rental truck in Coeur d' Alene, which we used to transport plans, loftings, instructions and his blueprint machine. The first night we were treated by Elaine to a gourmet meal. The following day Gayle interviewed Ken, asking questions that had been sent to us in response to one of Gayle's email. The most interesting part of the interview (to me) was Ken's comments about how he got started in boat design and how he eventually came to work for Glen. This is not something I had ever heard him talk about previously. After the interview, Ken and Elaine gave us a tour of the local sights. We headed south at about 6:00 PM. From there it was pretty much passing trees and a continuing highway, with a couple of stops along the way. Gayle tried to teach me "99 bottles of beer" in Roman numerals, but I couldn't really keep up. We still have not completely sorted the plans and patterns out. We need to make "autopositives" for running on the blueprint machine and for each order we all get together and read Ken's notes to insure that the plans are complete. There has been a great response to our selling Ken's plans and we expect to be getting feedback about many new projects. Assembling the WebLetter is something that is done between other responsibilities and I always try to point out that it is our builders that really make it happen by sharing their experiences. Take a close look at this WebLetter and it becomes obvious just how much we depend on YOUR submissions. You enjoy reading the WebLetter because these are real stories by builders like you. You could be in the next WebLetter; our readers want to hear about your project. Two and a half years ago, I had just finished and launched my cedar strip canoe. My wife immediately jumped on the chance. "I put up with you building the canoe. Now, you can build me a mahogany boat." "Yes, Dear," A project is born. I told her, "The canoe took me 27 months build. This should take me to my death." Lauren wanted something you might see in a James Bond movie. She had already named it "Miss Moneypenny". Somehow, I think she had been thinking about it longer than I had. A search of the Internet led me to Ken Hankinson's web site. Both Lauren and I liked the Tahoe. With the split cockpit, I asked her about talking to the people in the rear. "What makes you think I want to talk to them?" I think that might be my seat. Last month, Barry asked me if I'd do a pictorial essay on "Cold Mold". Well, here it is, so far. It's complete with mistakes, sloppy work and other flaws you'll have to find on your own. I'm not a cabinetmaker and this is my first "Cold Mold". I am a structural engineer and I have built things as long as I can remember. Butch Barto's descriptions sound a whole lot like my build. At the Children's Harbor Boat Show, we laughed at how many of our build pictures were the same. Someday I'd like to have my boat at the boat show with Butch's boat. I'll put it on the other side of the marina though. As you look through this, please be gentle. I hope it helps someone. We started with the Ken Hankinson Tahoe 23 plan. Using the full size patterns and plans we fabricated the frames from Douglas-fir and System 3 epoxy. The plans had an option for stretching the boat to 24’4”, which we did because we planed to use the boat in the local waters of the Choctawhatchee Bay where it is almost always choppy. After assembling the frame and the chine log I notched the frame with a modified skill saw with a dado blade for the battens. We then started applying the layers of okoume planking using the cold-molding method. Because of the rough water in our local area, we added an extra layer to the bottom and sides before the final layer of African Mahogany was applied. After a few coats of System 3 epoxy we covered the hull with 6 oz. fiberglass cloth. Next I turned my attention to the cutwater. My original plan was to make it out of brass and have it chrome plated, which did not work. I then purchased a mig welder capable of welding stainless steel, and taught myself to weld stainless steel, which was very difficult. After weeks of practice and more tries with stainless steel, I finally made one that was acceptable. After grinding down the welds, I spent about 8 hours polishing it to a chrome-like finish. When the hull was righted, we began work on the deck framing, most of which we covered with 3/8-inch plywood. 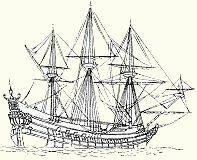 The gunwale was made of 1-inch thick mahogany boards. We then covered the plywood with 1/4-inch thick mahogany strips with white pigmented epoxy between to simulate the white caulking used in the boats of earlier years. The next stage was to install all the wiring for the pumps, lights, etc. We then turned to the windshield frame, fabricated from aluminum shower door framing, which we sent to S & H Chrome in Madison, TN along with other metal pieces that needed to be chromed. We then laid out the cockpit seating and floors. Next we began rolling on layers of epoxy onto the sides and deck, block sanding between coats to get a smooth glassy finish. The instrument panel was fabricated from aluminum, we finished the wiring, installed hydraulic steering, and the 8.1 Marine Power V8 engine. With my new welding machine, I fabricated the fuel tank from 1/8 inch aluminum. I then designed and built a swim platform with a pullout stainless steel ladder hidden underneath to make boarding easier, ( sorry Ken, not part of the original plan!). The polished stainless steel side exhausts were from Corsa. We finished the plumbing, wiring and fuel lines to the engine. After lots and lots of sanding we began applying 14 coats of the System 3 WR-LPU clear finish, which we block sanded with 1200 grit sandpaper and polished with 3M Finess-It. We next installed all the chrome deck hardware. We cut and shaped all the foam for the upholstery and made cardboard patterns for the design that we took to a local upholstery shop. The registration numbers and name are 22K gold leaf done by a local sign maker. The entire build from start to finish took us 37 months. Living in Florida, we take our boat out at every opportunity and enjoy it! Thanks to Bill for sending you the pictures of our boat! We are very proud of it and we enjoy sharing it with others! The pictures that Bill took were at the Children’s Harbor show in Lake Martin, AL. Here are some pictures, I am not sure if you are going to receive all of the pictures, I am not sure if i attached all of them correctly! Lengthened 6" from the original 19' length to allow for a V8 with gearbox. Construction period: Started early 2001 and launched 18 December 2005. I did every part except the making the fuel tank and the upholstery. Construction: Cold moulded ply over Kauri frames (Kauri is a native New Zealand timber that is the ultimate boat builders wood, light, strong, straight grain), Sapele mahogany sides, decks of mahogany over ply with kauri inlay and walnut side deck covering boards and king plank. Rewarewa dash insert (Rewarewa is another native NZ timber - similar look to silky oak). Below waterline grp sheathed and painted, above waterline 6 coats of 2 pack clear vanish. Cockpits trimmed in bone coloured vinyl. Engine: Marinised 350 cubic inch Chevy (280 hp) with 1:1 marine gearbox - direct drive, heat exchanger. Other Features: Custom built VDO gauges, 1936 Chris Craft repro windscreen posts, chrome on brass transom trims and belting, traditional method built brass chromed "cutwater" (From the article that Glen Witt wrote in one of the newsletters), foot throttle, trumpet exhaust outlets - all Glenwood marine equipment, as is all through hull fittings, strut, prop, rudder, air intakes, and other deck hardware. Thirty years ago I sent out to your company for some blueprints for building a 16 ft. runabout - the "Geronimo". I got the plans and everything I needed to put this boat together. I used 3/8" marine plywood and then covered it with fiberglass from side to side. Although it has been thirty years since the boat was built, it is still going strong. I have a 45 HP motor on it and we go at a good speed. When we go fishing, people can't believe that I built the boat. I am sending some pictures of our Geronimo. I repainted the hull this last year, so it is now red with a grey stripe down the side. I just thought you would like to see that one of your designs is still going after all these years. Thanks for the good times we have had with this boat. I am glad to see that Glen-L has made Ken Hankinson's designs available. I am a big fan of his work. I wrote this to celebrate the return of his plans to the marketplace. The Wildcats too are a delight. But I wonder how “Slither” made the list. With more designs than a Persian rug. Don’t dodge that “Bullet”, go build it. These designs are all “Chunky-Dory”. Wooden Boat Show & Summer Solstice Festival Celebrating the North, Traditional Crafts and the Joy of Summer! Forty years ago I dragged a sunken and waterlogged Jon boat out of a swampy stream that ran behind our home. At the age of 12, I knew that I had found a treasure equal to that of pirate's gold. That old boat in the backyard became the focal point of neighborhood activity. Between the times that we played sea captains, stormed Normandy Beach and explored the untamed wilderness deep in the imagination of our minds I was always trying to find a way to repair that old boat. I just knew that one day I could get her to float again. That old boat helped warm up my "Tom Sawyer" spirit of adventure and made me want to build a real boat of my own. Glen-L advertisements for boat building kits and plans in the back of old magazines found their way into my consciousness and I would dream of one day building my own classic replica. As with many of us, time went by and those dreams were replaced by others. Fast forward to 2003, while visiting Lake Geneva, Wisconsin, I noticed quite a few antique Chris Craft boats around the lake homes. Those timeless classics called out to me and I decided to build a model of these magnificent machines. 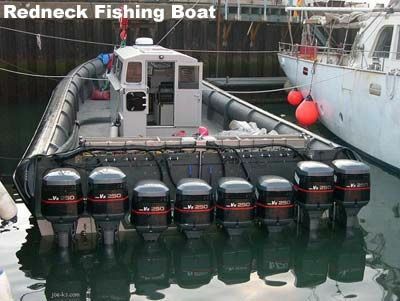 I researched the expensive kits to build a toy replica of these boats and found that the Ken Hankinson plans to build the full size Barrelback 19 were less expensive. I had been a hobbyist woodworker for some time and decided to stretch my skills to become a first time boatbuilder. Convinced that I could build a full size reproduction of this Chris Craft style boat, I confidently ordered a set of plans for the novice boat builder. I studied these blueprints for six long months, finding a new twist, a new turn with every examination. After months of research, pricing and planning, I knew that I had to give this boat an identity for it to come alive. No ordinary name would do. There was a little phrase that I learned from my nephew that I would frequently say. As a child he would run phrases together, and the one that stuck with me was a cross between O My Gosh! and Holy Mackerel!... "O' My Mackerel". That was it! At that point, I bought the first of the wood, wrote the name on the transom and began building. I started building my Barrelback on pure faith. I had never attempted such a grand project as this and found out that my immediate gratification attitude needed to be adjusted. I learned very early in the building of this boat that each step of the way was a project unto itself. Building, leveling and squaring the building form, drawing, cutting and assembling the seven frames all became separate projects. I knew that the end result would be my dream boat, but I had to take baby steps to get there. I started building in 2004 and we are christening and launching O' My Mackerel at the end of this month (April 2007). There was never a time when I had the thought that the project was too big, but I purposely didn't work on it when I felt I had to. From the "building form" up to the "hull flipping", construction was detailed but rather uneventful. The work was mostly a great deal of patience and following the blueprints. A great reference site I used was www.bronkalla.com. Although I've never met him or spoken to him, Mark Bronkalla remained a steady influence on my confidence to build this boat. Thanks Mark. Once we were ready to flip the hull upright, I invited forty of my friends over for a Flippin' Boat Party. Of course, the pizza and beer came AFTER we turned the hull upright. I deliberated for a while as to how I was going to flip this hull. I thought of building a boathouse hoist in the garage, some sort of rolling cams to strap to the bottom... everything seemed so complicated. One day my son asked why I wouldn't just roll the hull over. He went on to say that if the gunwale didn't support the weight of the hull, I probably wouldn't want to put the boat in the water anyway. Made sense. At the Flippin' Party, we picked up the hull, carried it out of the garage, rolled it over on some rolled carpet support and gently placed it on a home-made dolly for continued construction. How simple was that? It was at this point I had to decide on what power train to put in my Barrelback. I chose the 4.3L Mercruiser V-6 with a Borg-Warner Direct Drive 1:1. I rebuilt both the engine and the gear box and was quite pleased with the way it all turned out. Before you try to put the engine into your boat, I fully recommend buying and studying a book called "Inboard Motor Installations". Glen L. Witt and Ken Hankinson co-authored this invaluable guide and it's available in the Glen-L online bookstore. I would never had attempted drilling the prop shaft hole without this book. It's a must. Much of the remaining construction was personal preference and more patience. The real joy began when the hardware starting going on. This is when the boat takes on the real classic look. I purchased many of my hardware parts from Glen-L, but found some original antique items in online auctions. The only items that I had manufactured were the cutwater and the seat upholstery. A great resource I used was a down loadable manual the USCG has on their website, http://www.uscgboating.org/safety/boatbuilder/index.htm. They have everything you're not sure to ask about... electrical systems, fuel systems, flotation requirements, ventilation and all sorts of other compliance items to build a safe boat. After building O' My Mackerel for three years and several months, I can finally realize that childhood dream. I built my own boat and what a beauty she turned out to be. My sense of adventure endures. I think Tom Sawyer would be proud. p.s. Butch Barto lives about 30 minutes from me. He knew that I was building a boat also, and when he launched his boat "Innocence", he called me, introduced himself and invited me to attend the launch ceremony. Boy oh boy did that ever give me inspiration to get finished! Another day in Hawaii I took the tour of the Battleship Missouri. They offer special tours if you pay the extra money, and you don hard hat & flashlight and get escorted down below decks. The immensity and tonnage of this ship is unbelievable. A couple decks below the main deck is the "Armor deck". This deck is SOLID 17" steel plate, the whole damn thing. Theory is that she could take a direct hit from above and have the topsides all blown away, but her bowels remain intact (boilers, fuel, ammunition, stores, machinery, etc.). There is a winch apparatus to open the hatches to pass through the armor deck. Yep, you need a winch to open a hatch 4 foot square and 17" thick. Oddly enough, the bridge does not have the controls of the ship. The bridge has all the officers in charge and navigators. The actual helm is a deck below and inside a little armored booth affair. The actual helm booth is a small room made from that 17" armor. The armor door is seen in one of the pics. The command sends signals/messages down to the helm station to steer the ship. Even then there is no steering link to the tillers. The helm wheel sends another indicator down to the engine room where sailors actually operate the tillers. Same with the throttles. A signal is sent below to the engine room where operators open/close/adjust steam valves for throttle. The engine room(s) have 4 steam turbines, with 4 control panels, with at least 4 operators. In one of the pics is the engine control panel. Two large wheels (red & green) are the forward steam and reverse steam. Far below a catwalk I could see a prop shaft, it looked like about 20" or so in diameter, with a correspondingly huge reduction gear. The galley/mess is now open for tourists to get burgers, hotdogs and a souvenir shop. Just a fast note to say Hi. My 1st time as a member though I have been a newsletter reader for some time. Also a self-built small sail boat owner (12'). The Falls of Clyde article in latest newsletter brought back some good memories. I worked on the restoration project for several years and spent many, many happy hours all over her... from deepest compartments to the highest mast top. Had the real pleasure of working under her last actual master who sailed her to Hawaii way back when. His is a fantastic story as he began his sailing career aboard "The Falls" as a cabin boy. Became 1st officer and at last her master. His stories kept us entertained for hours. This was in very late 1970's and early 1980's when was in his 90's. Great article... thanks for it. A recent post in the forum mentioned taking pictures with the pretty 'boat babes'. It is evident that even the Navy takes pics of their boats with babes. Here, a WAVE exits the 5" gun turret aboard the USS Missouri. Hey Glen-L FYI I just ran across one of your Kodiaks for sale on e-bay. Who the heck is Fred Murphy??????? I thought he was a war hero or maybe a ball room dancer. No, wait. Wasn't he Lucy and Ricky Ricardo's friend? You know, Ethel's husband. Why didn't you name that boat after someone like Noah. At least he has nautical name recognition. Also how do I know that Glen L isn't going to go belly up like that Hankinson dude. Then where will my product support be? Who will answer my questions? Will you just disappear like Ken did? Will there be a grace period with Barry and Mr. Witt staying around a couple of years just to help us out with our inquiries? How can we potential builders count on you not to take the money and run. Toss me a bone here. Also, there is just one "M" in "Dream". Have a good day and thank you for your time. First of all - thanks and congratulations. How nice and formidable is your report regarding the agreement with Ken Hankinson. I´m actually very happy, I'm supposed to have bought the last 19 ft runabout plan sold by Ken - it´s a two cockpit Barrelback, ByeByeBlues is its name - and the result was great. But I felt how difficult it was to develop the project without a technical support. I hope sincerely that Glen-L will restore the excellence of Ken Hankinson´s plans, in terms of sales and customer service. Finally, my best wishes for you and Ken. That´s all, thanks again and ByeByeBlues. I recently purchased a Glen-L cruiser boat made from your designs. This particular boat is named "Happy Hours" I learned from the original 50 cent catalog purchased by the original owner/builder many years ago. The boat is 18 ft. 7 inches in length with a 94" beam. The original owner started building this boat in the early 1960's and completed it in 1965. I believe the boat is from plans you designed in the mid-1950's(?) but I do not have any precise documentation to verify the exact vintage of the boat. Could you please verify the date you designed this wonderful classic cruiser? I would love to know what year the boat is as per its original date of design and knowing its vintage era. I will email a photo of it I just took yesterday for your information in the email to follow. Subject: RE: Glen-L News: Hankinson Designs Now Available! Sirs, As a teenager, I helped my father build the Thunderbolt (vert transom) in 1968-69. It was the fastest pleasure boat on the east coast for several years - none like it. With a "hot" 427 chevy, it was the only 100+ mph boat in this region back then. I entered 7 drag events in the early 1970's, winning 5 of them with that boat. I later drove drag boats at a higher level for another owner. My Dad sold the boat in 1986, and I have always wanted (needed) another hot boat. I have always had the "need for speed"! I am considering building another Thunderbolt, as a tribute, if I can find enough spare time. Would you like some pictures of the original "REDHOT" thunderbolt? I have several. Do you think this would qualify for "Darla's Corner"? I want to communicate to you my thanks for your making available Ken Hankinson's work and the wonderful web site of designs. I have built several of his designs over the years. I draw great joy from being able to see his work on your site. I live on Harsens Island in Michigan. Directly across the river (and across the street from my office) is the original Chris Craft Plant. I know many people who worked there at some point in their lives. And while I think that my boatbuilding days are probably done, (the five boats I currently own pretty well satisfy all my boating needs... one is never enough is it?) you never can tell what the human spirit might be led to. It would indeed be a joy to run along the Algonac Wood Boat show canals in a Miss Chris and listen to the murmurs of the crowd trying to identify it. I have a photo of a boat coming off the Chris Craft Line and being lowered onto a truck about 1930 that could be its twin. Keep up the good work and the wonderful web site and thanks again for keeping Ken's designs alive. I built my first of his at age 13. That was about 40 boats ago, but I've lost count. I spent many hours cruising Ken's web site and have a few of his designs. I'm glad his work was not lost. Just wanted you to know that I'm really excited to see you putting this all together. I've been looking at your site and literature for years. Long before the Internet became the thing to do! Ken has and always will be a part of Glen-L, I just can't imagine him not being there in some way, form, or fashion and now it's happened. What a great day for all of us!!! P.S. It sure would make some great reading to really know what Ken was thinking when he retired and how he came to finally make his plans available for us folks again. I've talked to him in the past years and always remembered him as a patient and true believer in his plans and boat building in general. An autobiography would sure be nice as he has touched so many people over the years!!!!!!!!!!!!! What a great influence and inspiration he has been for all of us not just here in the states but throughout the world!! It might interest you to know that the Philippines just had its first ever Messabout for Homebuilt Boats. This was organized by the Philippine Home Boatbuilders Yacht Club (PHBYC), a virtual club with "home port" at http://pinoyboats.org, as a media event to make people aware of the feasibility of building their own boats. Twelve boats of various designs and sizes (from 10 ft. to 24 ft.) participated in the event: all wooden, all homebuilt! The setting is on the shore of Taal Lake in Batangas Province. Great newsletter, always pleased to see it in my email, "Falls of Clyde" story very good. Thought you might like these couple of photos of the Minimaxed my son and I built during last winter evenings. The pics were taken at the premier New Zealand antique and classic boat show just before Matthew won the under-10 hp race. This is one of two Minimaxed's that we know exist in NZ. It was great fun to build and the only thing I have ever built excepting a wooden footstool in workshop when I was 11 years old.